Size: In ultra sonic cleaning size does matter. Make sure that you are looking at the tank dimensions and not just the outside dimension. Power: Make sure there is enough power. Compare the watt to gallon ratio. "We only sell equipment that has more than enough power!" Frequency: Different frequencies clean differently. 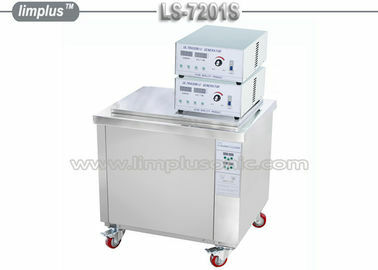 "Limplus sells 28khz/40kHz which are both strong and can be used for a variety of cleaning. Durability: When looking at cleaners you will want only ones with a stainless steel tank . "All of Limplus ultrasonic cleaner tanks are 14gauge SUS304/316L"
Design: This is something you have to look at every day and possibly customers will be seeing your equipment too. "Limplus offers the most modern designs and controls"
Repairs: Being able to repair your machine to get back up and going is important. Not only does Limplus make sure that every component has an easy access panel, but we are always available to help. Features: Things like liquid level shutdown are important not just for safety but also the life of your machine. Also wave sweep is important to cancel dead spots to get a more powerful cleaning and timer to shut off in case you forget about it being on. "This is standard on all of our machines"
Warranty: Always ask what the warranty is and if there is any small print. "We offer a 1 year, no questions asked, warranty"
Electrical: Being able to plug your machine in is important but making sure it isn't going to burn your building down is more important. 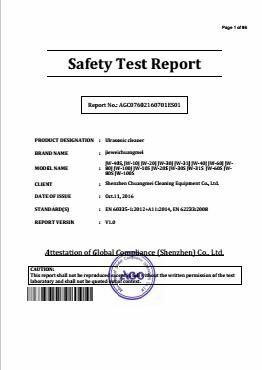 Some ultrasonic cleaners are not tested, inspected and certified. "We only sell equipment that is at least CE Certified"
Price: Of course this is important to everyone, but always check to see if there is an extra cost for accessories such as baskets.
" Not only does Limplus give you the lowest factory cost of equipment but we always give a basket with your machine." Support: Buying new equipment is scary but being left alone after your purchase makes it worse. Here at Limplus, we are always available to answer questions. Digital vs Analog: Make sure that the ultra sonic cleaners that you are buying is digital not analog. Just like with audio equipment digital is the newer technology and provides a more consistent cleaner sound wave. We only sell digital ultrasonic generators. Names: Ultrasonic Cleaners are referred to by many names; "Sonic cleaners,Ultrasonic Cleaners, ultra sonic cleaners, sonic wave cleaners, ultrasonic cleaning system, ultrasonic cleaning machine"
Limplus Single tank Ultrasonic Cleaners spec. Whole machine made of SUS304 stainless steel, 2mm thickness tank for acid-proof, anti-corrosive. Industrial grade ultrasonic transducer, moisture-proofed PCB. 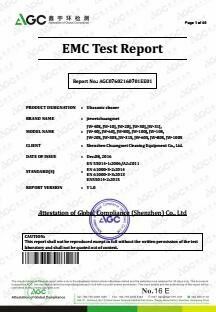 Advanced generator, sweep frequency, high quality, better cleaning effect. Ultrasonic power can be adjusted from 40-100%. Temperature can be set from 20-95°C. Industrial grade for 24 hours continuous working. Ultrasonic frequency: 28kHz or 40kHz. Fully portable, 36L and above volume machines are with wheels, locking wheels for stability. With free lid and stainless steel SUS304 basket.